Police are searching for a man who fatally shot a teenager and injured his mother at a south suburban Harvey gas station. 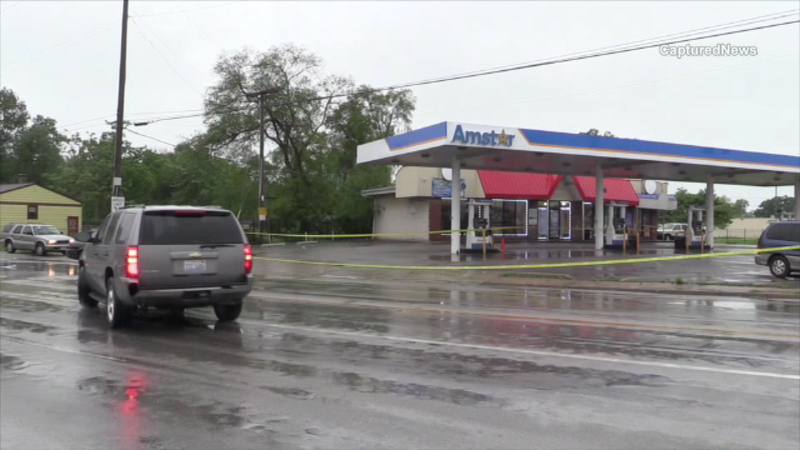 HARVEY, Ill. (WLS) -- A 17-year-old boy is dead and his mother is in critical condition after a shooting at a gas station in south suburban Harvey, police said. The shooting occurred at about 3:45 p.m. Saturday at a gas station near Wood Street and Sibley Boulevard. Police said the teen argued with a man at the gas station entrance. Moments later, the man then allegedly started shooting. Police are using surveillance video footage in an attempt to identify the man.